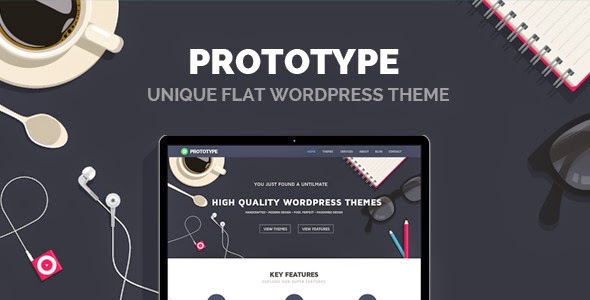 Prototype is Premium Flat WordPress theme which have many powerful features to allow you build websites very easy and unlimited your creative to make impressed websites. Prototype was designed by our talents and passion, we take care any details to make it look perfect. Prototype also support retina display which will make your site look great in retina devices. Prototype use new framework and latest version of unique page builder so it will load very fast , easy to update functions and SEO friendly. Item Reviewed: Prototype Premium Flat WordPress Theme 9 out of 10 based on 10 ratings. 9 user reviews.